From Pelican, "Whether its winter work or outdoor fun, Snow Trek Sport utility sleds are up to the task. 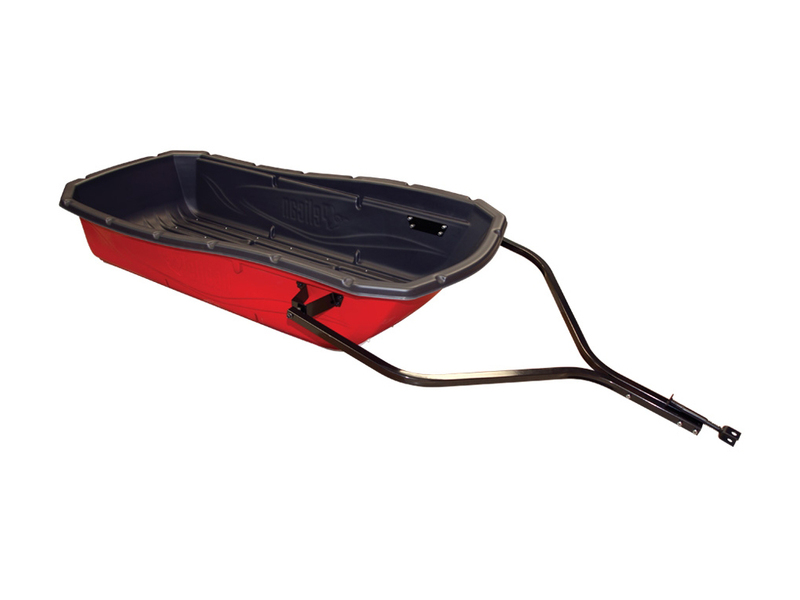 Excellent for hauling all types of cargo outdoors, they are sturdy, robust utility sleds designed to be pulled by an ATV or snowmobile. Their large capacity means plenty of room for everything you want to haul. They come with no-maintenance Ram-X runners, shock absorbing metal tow hitch and adjustable travel cover. Specially designed to accommodate dividers (owner-made with provided template) to stabilize cargo."